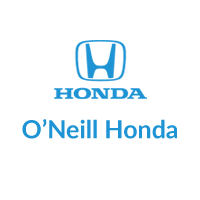 Have you purchased a new or pre-owned vehicle from O’Neill Honda? Whenever you need service, turn to our auto service center. Our factory-trained technicians are taught to know each and every inch of your Honda car, truck, or SUV, so you’ll know you’re in good hands. Whether you need an oil change or a diagnostic test, let the auto service team at our Honda dealership in Overland Park, KS assist you. Schedule service using the form below. Should you have any questions, contact the service department by calling 844-242-2394.